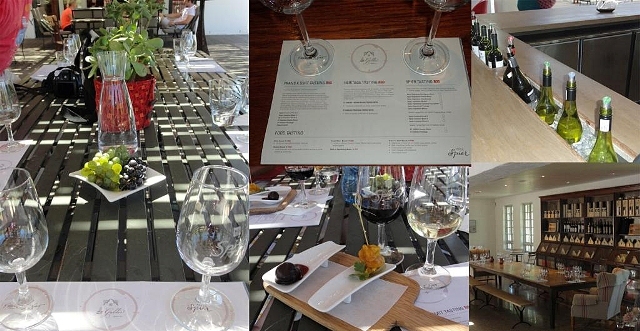 I was invited to spend time at Spier discovering their new journey by experiencing all the farm has to offer. This included an Eagle Encounter and Wine Tasting At Spier. I arrived early on Saturday morning and browsed around before meeting the rest of the media group in the hotel reception for a welcoming drink. We were met by Wayne, the hotel manager, and his staff. I had freshly squeezed orange juice but the Spier MCC was on offer as well as water. Not wanting to have a glass of champagne so early in the morning, I had a sip from Jan’s glass and straight away I decided that this a great breakfast bubbly. It is light with a hint of apples. We were then taken by golf cart to the wine tasting centre before splitting into groups. On our way to the eagle encounter we walked through the craft market which is open 7 days a week unless it is raining, from 10am till 5pm. The market is closed during winter. 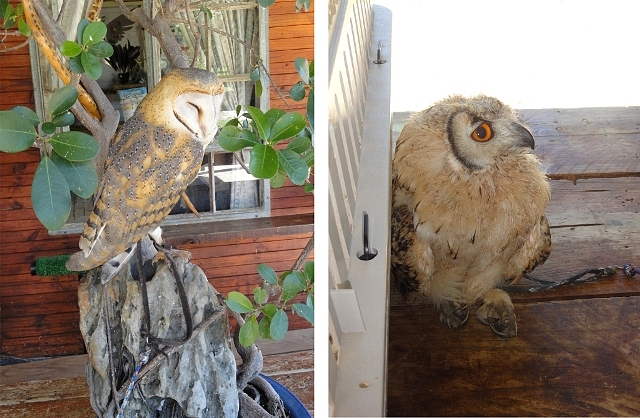 The eagle encounter forms part of Cape Nature and is a rehabilitation centre. Between 200 and 400 birds make their way to the centre each year and 65% of them are rehabilitated. Anzio hosted the raptor show and explained how the birds that are human printed or are exotic species cannot be released into the wild. Human printed birds actually cry like babies. They are able to rotate their heads 270 degrees in order to preen the feathers on their backs. The yellow billed kite only flies for food and has excellent vision. They see in full colour and high definition. They have no sound interpretation or sense of smell. 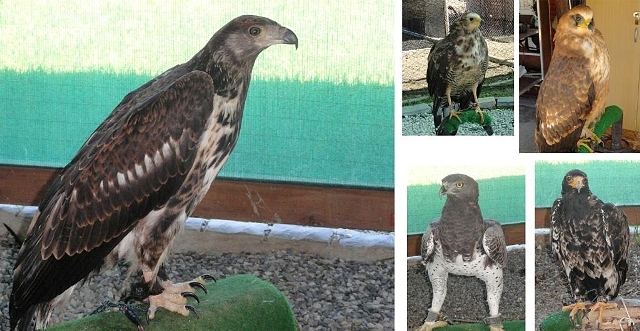 Their wings are designed for soaring and gliding and they use their talons to catch food. Their beaks are used solely for eating and they pant to cool down. Barn owls are rodent eaters and are found world wide bar Antarctica. Only 15% of the species are nocturnal and these hunt using sound. Nocturnal owls have offset ears and a face designed to capture sound, which they triangulate. The balance hunt during the twilight hours and use sight and they have very large eyes to assist them with this. Owls only hunt for 15 – 20 minutes at a time. You will never hear an owl in flight due to the nature of their feathers which have the most amazing texture – like a soft cuddly toy. Take a close look in trees to find owls which will sway with the wind to camouflage themselves. Even better, put an owl box in your garden to encourage them to live on your property. Sadly, the use of rat poison can kill owl so rather grow mint to discourage mice from your garden. Vultures are true scavengers and eat dead animals. They therefore have a keen sense of smell. They cool down by urinating and defecating on their legs and have long beaks and a rough tongue in order to feed on all parts of a carcass. To this end they don’t have head feathers as they put their heads into everything. They are known to regurgitate their food when stressed or scared. The jackal buzzard is a perch hunter and has very strong claws. Each bird has a unique chest feather pattern. It kills its prey as soon as it is caught and will use its wing to hide the prey from other raptors. Anzio demonstrated this to us by using a lure, which is a common training tool in falconry. The highlight of the encounter for me was having a Varreaux’s eagle perch on my arm. I truly understand the meaning of the term ‘death grip’. I’ve been lucky enough to see the male of a mating pair that live in the wild close to us. He was perched on a wall in the village just below the mountains where they live. The male only weighs 3kg’s which does not sound like a lot until it is balancing on you. I’m not so sure I could have held onto the rope had he decided to fly off! The females are bigger and will tend the nest while the male hunts. After our up close and personal encounter with the eagle, we headed back to the wine tasting room. This has been revamped from the old delicatessen. The wine centre has a variety of table setting options including long tables and couches. In the centre of the tasting room there is a chandelier made out of 357 bottles. One of the ranges Spier has to offer is the Creative Block range. The number next to each Creative Block indicates how many varietals have gone in to each blend, either 2, 3 or 5. This range of wine has also lent its name to the artistic creative blocks on display. These works of art are for sale at R1200 per block. R600 of each sale is paid to the artist and the balance is set aside for a charitable organization. We sat outside for our wine tasting and on the tables were recently harvested sauvignon blanc and pinot noir grapes which tasted really good. Annabel, who is in charge of marketing at Spier, explained to us how Spier uses biodynamic farming. They believe in closed loop living and 95% of their waste is recycled. They have their own water waste treatment plant and this water is used to water their gardens, which are immaculate. There are perches in the vineyards for the predatory birds. Spier has been making wine since 1692 and have used the fact that they have 21 historical gables on the farm to name their heritage wines 21 Gables. 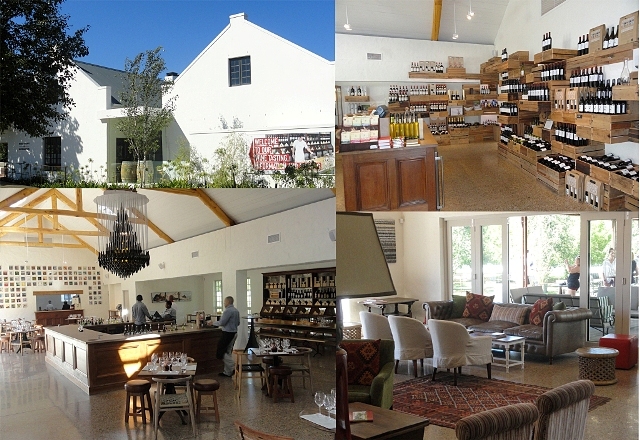 In fact, Spier is one of the most awarded wineries in the region. After Nicky, who is in charge of the wine tasting came to greet us, Tyson conducted our heritage wine tasting experience. We started with the 2011 chenin blanc which was paired with traditional pickled fish on a honey roast sweet potato. Chenin blanc was the first grape varietal planted on the farm in 1720. The wine was oak matured for 14 months – 75% first fill and 25% second fill. I found the wine to have a soft honey taste and after the fish, the wine became very fruity. The wine costs R118 per bottle. Our second wine was the 2010 Pinotage and the grapes are very much affected by the ocean breeze. The wine can be left to mature in the bottle for 12 years and at this stage I found the wine to have quite a dry aftertaste. It was paired with a dark chocolate truffle with liquid guava, and the chocolate softened the wine somewhat. It has a beautiful fruity nose and costs R158 a bottle. I wouldn’t mind going there. Its is an amazing place to visit! What a wonderful visit, Tandy! Owls and wine, and an eagle on your arm. What more could one want? What a beautiful adventure.. we just saw owls at our Zoo on the weekend:) And to cap it all off.. some lovely wine, lucky you!! Owls are truly amazing Barbara! What a great & lovely day you must have spent there! Thanks for the lovely pics of the birds too! Yes, your comments were in my spam folder – it happens very now and then and at some stage I shall look into why!